This will be a short post, but I had to update on my excitement! I've been excited all summer for this new teaching experience and adventure, but after today I have definitely reaffirmed my decision to make this move in my career! I work with a great bunch of teachers in a great school. Meetings were productive today and I got a lot done in my room! Open house was wonderful! We had around 30-40 parents between myself and my team teacher, and our Powerpoint Presentation went great! 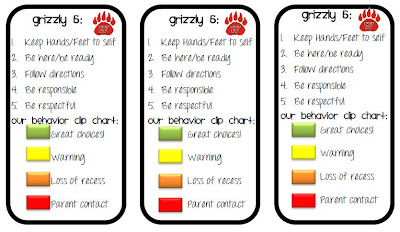 We are definitely the loud and fun team and darn proud of it ;) I took Christina's idea over at Second Grade Sugar and Spice and created these behavior management magnets to fit our school wide behavior management policy; "The Grizzly 5"
I love the magnet idea! 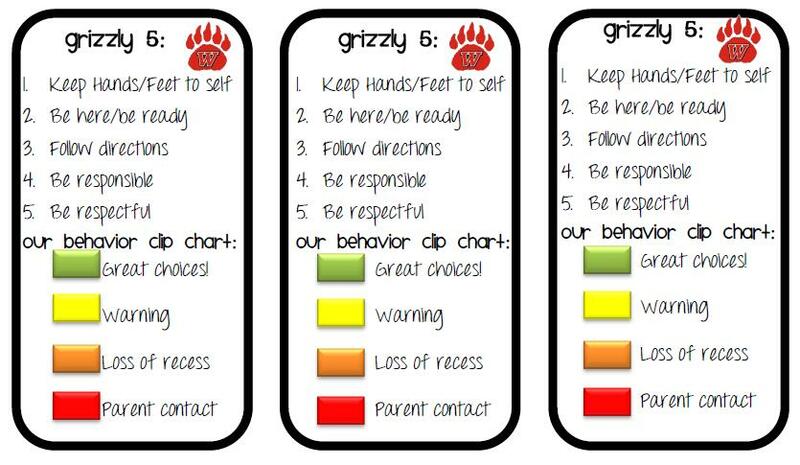 That's so perfect for parents to reference & serves as a reminder to the kids to make good choices. Thanks so much for sharing. I'd love these for my class! !